It’s great to see the work Newport SLSC do for kids with special needs and it’s nice to see also such wonderful support from Adrenalin Wetsuits. Adrenalin Wetsuits [Land and Sea Australia] are based in Warriewood and have kindly donated 18 soft boards to Newport for the Program that incorporates the Dolphins and Marlins groups for kids aged six to young adults. The Program was developed and delivered to allow for developmentally disabled kids to participate in junior surf lifesaving activities. Kids learn about competition sports like flags, sprints and beach relays and a number of other recreational activities. They also learn to balance and paddle surfboards and the excitement of catching a wave. 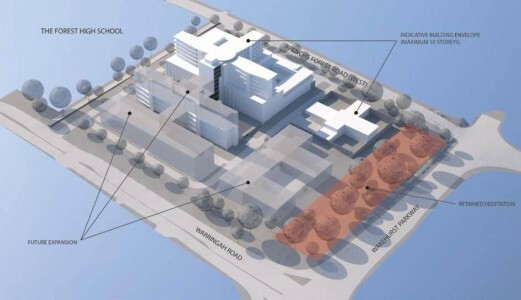 You are invited along with the community to comment on the first of two Environmental Impact Statements about the proposed Northern Beaches Hospital at Frenchs Forest. This announcement is an important step towards providing better access to health care on the Northern Beaches. The Stage 1 EIS addresses the Director General’s environmental assessment requirements relating to the concept proposal and Stage 1 site clearance and preparatory works. The Stage 2 EIS will be lodged with the Department of Planning and Infrastructure in late 2014, giving the community another chance to comment on the project. The Stage 1 EIS is on public display until Thursday, 28 November 2013 and allows the community, local residents and stakeholders to be informed and provides a mechanism for them to provide feedback about the project. Feedback received during the Stage 1 EIS consultation period will be compiled into a summary report and taken into consideration. It will then be used, along with the EIS, to determine whether the development should proceed and what, if any, changes need to be made. Please get involved and have your say. As this is designated State Significant Infrastructure project, the Department of Planning and Infrastructure will display athttp://majorprojects.planning.nsw.gov.au/index.pl?action=view_job&job_id=5982 and advertise the EIS, notify local residents and manage the submission process. To supplement this effort, Health Infrastructure will conduct an additional letter box drop in the local area. You can also visit http://nbhsredev.health.nsw.gov.au/wp-content/uploads/2013/10/Overview-of-the-Northern-Beaches-Hospital-Stage-1-Environmental-Impact-Statement16.pdf for an overview of the Stage 1 EIS document. This overview provides a quick summary of the EIS. For further information about the Northern Beaches Health Service Redevelopment please visit www.nbhsredev.health.nsw.gov.au or call us on 9978 5410. The Australian Government's Stay Smart Online website is warning people about a particularly malicious form of ransomware, called CryptoLocker, that encrypts (locks) your computer's files (documents, photos, music, videos) and asks for payment to unlock them. Unfortunately, with CryptoLocker, without the encryption key, it is impossible to regain access to your files. CryptoLocker is spread by a variety of means, primarily as an attachment in fake email messages such as tax refund notifications, but also via a number of other less conspicuous methods. Prevention is the best way to avoid malware like CryptoLocker, so use a spam filter on your email, and be careful when opening emails, particularly those with attachments. Prevention (i.e. avoiding infection in the first place) is the best antidote to CryptoLocker—as well as other malware. Use of spam filters and being cautious when opening emails, and especially attachments, is critical. The ways you may be infected by these types of malware quickly become complex, but the same common sense applies to avoiding these threats, as to any malware. If you continue to do these things, you should remain safe. Do not open suspicious (or frivolous) emails and attachments or links. Make sure it is up to date and switched on. Only visit reputable websites and services online. There are also products available that can identify and remove this malware, and scanning your computer with up-to-date security software should identify any infections. The major problem with CryptoLocker is that once your computer has become infected, the only way to recover your files is from a clean backup (if it hasn’t also been encrypted) or by receiving the encryption key from the scammers. Responding to extortion is not encouraged. Member for Pittwater Rob Stokes today announced the NSW Government will install pedestrian safety fencing along both sides of the Narrabeen Lake Bridge on Pittwater Road. This highly sought-after improvement will form part of a major $1.5 million restoration project that will also see the bridge’s piles cleaned and reinforced. The nine month project will begin later this week and comes in addition to earlier remedial works undertaken during 2012 to help improve the bridge’s structural stability. “I’m delighted funding for this project has now been secured,” Rob Stokes said today. “Many local residents have raised concerns with me about the need for a permanent barrier to be installed between the narrow footpath and the roadway. “The ongoing construction of the Narrabeen Lagoon multi-use trail is seeing increased pedestrian activity along the bridge and this has highlighted the area’s safety issues. Anyone that’s walked or cycled along the bridge knows how daunting the closeness of the footpath to the roadway can be. The specialist works to the underside of the bridge will be completed from barges and will provide essential structural improvements. “Only minimal impact on traffic is expected as much of the work will be completed from the water on weekdays from 7am to 5pm and on Saturday’s from 8am to 1pm. Night work may be required if there are significant tidal changes. Every effort will be made to minimise noise and disruption to nearby residents. “The installation of the new pedestrian fencing will be completed early next year as part of the first stages of the overall project. This is another win for our community and I look forward to the works getting underway,” Rob Stokes said. Member for Pittwater Rob Stokes today announced that onsite works will begin this week on the expansion of Mona Vale Hospital’s emergency department. This major infrastructure project will include the construction of a new 10 bed Short Stay Unit that will enhance the emergency department’s capacity and provide improved patient care. The Short Stay Unit will be specifically designed to better accommodate patients that may need to be monitored in the emergency department for an extended period, but do not require admission into the hospital’s general wards or transfer to more complex care. “This is another key infrastructure upgrade for Mona Vale Hospital,” Rob Stokes said today. “Expanding the size and scope of the emergency department will provide greater options for hospital staff and help ensure the most appropriate care for patients. “It’s very common for patients to require extended observation in the emergency department but not require admission into the hospital’s general wards or rapid transfer to another health facility. The new unit will be closely integrated into the hospital’s existing emergency department and will assist with patient management throughout the entire hospital. “This is a permanent improvement to our hospital’s acute services and demonstrates the government’s long-term commitment to Mona Vale Hospital. “This project joins other major infrastructure works currently underway at Mona Vale Hospital and is an important step in the overall modernisation of our local health facilities. “Construction of the new unit is expected to be completed by March next year. I look forward to the positive momentum behind infrastructure improvements at Mona Vale Hospital continuing,” Rob Stokes said. Bringing plenty of glamour to the pointy edge of the 2014 Club Marine Pittwater and Coffs Harbour Regatta entry list is Peter Harburg’s Black Jack, the largest entry so far and leading line honours contender. The Queensland based Juan K 70, new this year to Australia’s offshore scene, will attempt what a small number of typically bigger boats have undertaken in the past – the east coast double header. Black Jack will track south with a strong fleet on Boxing Day for the 628 nautical mile Rolex Sydney Hobart. They should finish with the top tier and after a quick restock of supplies the boat will U-turn and head back to Sydney for the start of the annual 226nm warm water Club Marine Pittwater to Coffs race on January 2nd, 2014. Harburg’s Black Jack is the replacement for his RP66 of the same name. This year Queensland’s highest profile grand prix yacht racing team, including regular helmsman Mark Bradford, upped the ante with a current generation Volvo 70 bought from Europe and remodeled for Australia’s leading coastal races. The RP66 Black Jack last competed in the Pittwater to Coffs race in 2010 where she finished third over the line behind two then 98 footers, Wild Oats XI and Wild Thing. Syd Fischer is also expected to tackle the double header, though his will be a more relaxed quest, making use of a probable earlier arrival into Hobart and different boats bridged by a short plane ride. His Elliott 100 called Ragamuffin 100 is entered in the Sydney Hobart race and the TP52 Ragamuffin is an anticipated Club Marine Pittwater to Coffs race entry. Fischer’s TP52 Ragamuffin rewrote the race annals in January when it made a clean sweep of the handicap bootee – IRC, ORCi and PHS – the only boat in the race’s 32 history to record the achievement. Since the announcement of two significant changes to the New Year’s coastal event, the addition of a multihull division and relaxation of the Cat 2 requirement to carry HF radio, the monohull and multihull communities have responded positively. “We’ve had a lot of interest since these decisions were announced and the feedback has been really upbeat. We’re anticipating quite a few more entries before close,” said Richard Hudson, chair of the Coffs organising committee. So far six multihulls and a handful of monohull newcomers have registered alongside many race regulars for the 1pm start on January 2nd off Barrenjoey Headland (monohull fleet). Owners contemplating the combined popular northern race and subsequent regatta at Coffs Harbour have until Friday 6 December 2013, to lodge an entry. Australians and New Zealanders will be able to access a shared archive of World War I records online to commemorate the Anzac centenary, Australia’s Attorney-General, Senator George Brandis and New Zealand Minister for Internal Affairs, Chris Tremain announced today. The Discovering Anzacs website, developed by the National Archives of Australia, goes live today and Archives New Zealand will make their World War I records available on the site from April 2014. Mr Tremain acknowledged the value of sharing service records online to strengthen the two countries’ ties. As well as providing access to digitised Australian and New Zealand service records from World War I, the website will contain other records including files on internment, munitions workers, and the Boer War. The project complements other centenary projects including Project Albany, a $3.4 million Department of Veterans’ Affairs project to support the digitisation of selected World War I repatriation files for public access. For more information about the project and how Australians and New Zealanders can get involved, visithttp://discoveringanzacs.naa.gov.au. Pittwater Council will begin construction of a new 218 space car park in Bungan Lane Mona Vale from Monday 25 November. The $7.3 million car park will take 12 months to build and is expected to open early in 2015. The car park is being built as a result of a long term plan to improve parking in Mona Vale. During the planning phases the project has been canvassed with the Mona Vale Chamber of Commerce and local businesses. General Manager Mark Ferguson said the Council was committed to matching parking availability with Mona Vale’s growth as Pittwater’s major centre. During construction public access and parking in Bungan Lane will be restricted but access will still be available at the Aurora and Gateway buildings in the immediate vicinity of Bungan Lane. There are a range of alternative parking options in the Mona Vale centre, including Pittwater Place which has two hour free parking for shoppers. For enquiries about the new car park visit www.pittwater.nsw.gov.auor phone 9970 1111. The Council has adopted a new flood study and associated planning controls for flood-affected properties. The flood study will see an additional 228 properties in Pittwater identified as being flood-prone, following public exhibition of the study and an extended period of community consultation with newly-affected homeowners. Over 200 residents attended information sessions hosted by the Council explaining the flood study and a further 50 participated in phone interviews to discuss their property. The study focuses on flooding caused by ‘overland flow’, which is flooding caused largely by run-off and excess rainfall, rather than overflowing creeks and streams. Overland flow can affect properties that are not necessarily located near waterways but may be at the bottom of ridgelines or hillsides. Catchment Management & Climate Change Manager Jennifer Pang said the revised flood study and associated mapping would be complemented by changes to planning controls that were also adopted at this week’s Council meeting. The changes to planning controls will see properties potentially affected by major overland flow flooding elevated by 500mm above the 1 in 100 year flood level if they are redeveloped; a flood risk management report to accompany development applications; raised floor levels for new nursing homes and childcare centres and new buildings to be constructed using flood-resistant materials. Ms Pang said the Council’s flood study and flood maps had received support from the NSW Government and Federal Government’s Natural Disaster Resilience Grants Scheme. Mayor Jacqui Townsend welcomed the adoption of the flood study and associated planning controls. “The Council takes the issue of flooding seriously and our forward planning is aimed at mitigating risk wherever possible to our residents,” she said. Pittwater Council is inviting feedback on its draft Pittwater Local Environmental Plan (LEP) for a second time. The draft LEP will replace the current LEP and is the guiding document for future land use and development in Pittwater. create a new LEP. The state government’s aim is to have all councils follow a standard template for planning across the state. The draft plan is on exhibition from 2 November to 29 November 2013. It can be viewed at www.pittwater.nsw.gov.au/lep, Council customer service centres and libraries at Avalon and Mona Vale and the Coastal Environment Centre at North Narrabeen. Scotland Island has a rich history of communicating with ‘inhabitants’ (of the human kind). Leicester Warburton, who edited the fabled Scotland Island news (SINEWS) for 28 years until 1995, has graciously provided the article included here that describes the evolution of the newsletter and gives us a glimpse of life on the island at the time. With appreciation and affection, we thank Leicester for putting this history together for us. Today SIRA has a number of communications approaches including: regular news and items of interest in the PON; the SIRA website (www.scotlandisland.org.au) which is a repository of information about the island; the Pittwater Offshore Directory (POD); Community Forums and surveys on key issues; notices on important events around the island at places such as public wharves, ferries and Church Point and when appropriate, notices via email to residents and property owners. As in the past, this work takes a great deal of time, and thanks go to Paul Purvis who produced the first edition of the PON and Julian Muir who took over the reins for his long and faithful editorship, Carol Floyd and Dan Humphries for design and stewardship of the website, the SIRA Committee members who organise forums and surveys and Cass Gye for maintaining the email list. For the POD, the many people involved in its production including Deryn Vokins, Shar Jones, Jane Wood, Paul and Joy Purvis, and Cass Gye, who was inspired to create and produce the very first edition in 2000. And, finally, Jon Maxim for leadership of the 2013 SIRA Communications Sub-Committee. Most recent arrivals on the gem of Pittwater are unaware that a record of life on the island over 60 years ago is archived in the Mona Vale Library Local Studies Unit for residents to read at their leisure. It was back in 1955 when the first two-page issue of the “Scotland Island Progress Association Newsletter” was born, printed on an ancient Gestetner and with a print run of about 50 copies. Not many were needed in those days. Residents were mainly week-enders on waterfronts with only a couple of houses owned by courageous climbers higher up in the thick foliage. Those early copies are faded now and so is my memory of the name of the first editor who later fled to Gosford. I think it was Geoff Steen. But the second was Ian “Bunks” Carmichael, a senior executive at the ABC, who lived to survive a giant gum tree, blasted by a fierce nighttime storm, topple over his house and come down, cutting the house in two while they slept. His term as editor lasted for two years, rallying residents to an occasional meeting in the fireshed which stood, in those days, just near the end of the Tennis Wharf walkway. One day “Bunks” announced that he was being sent to London by the ABC to head the office there. Some sort of fall guy or eager beaver was required to take over the island editor’s mantle. It seems I was to be the bunny. It lasted for 28 years. It was during this time that “Scotland Island News” was more conveniently condensed into “S.I. News” and so it was referred to ever after. Interestingly the subheading of “the journal of the Progress Association” was later replaced by “the journal of the Residents Association” when it was decided the residents felt the sylvan peace of the island could be marred by the suburbanisation of progress per se. I had trained as a journalist but was working in advertising at the time so I did have some useful background experience to contribute. I was also able to utilise some of my secretary’s free time to cut the necessary stencils for our printing. As time went on I was able to utilise the services of one of the artists at the agency to design a far more professional and punchy masthead for the title page. Later, I inveigled Gwyn Perkins to contribute his skilled illustrations of topical island activities laced with his wonderful sense of humour. This he continues to this day in the paper’s outstandingly modern successor, “Pittwater Offshore News” at the beginning of each month. I set myself a whimsical task one day about halfway through my editorship with a sub-sub headed alliterative line like “the quixotically quidnuncial quarterly of the Scotland Island Residents’ Association” or “the roguishly riparian report.” I found my readers were wondering amusedly what bizarre piece of alliteration was coming in the next issue! Right from the start I was determined to make the occasional publication as folksy and personal as possible as well as an Association news-sheet. I felt it would help to build a sense of community and personalise the place when one side of the island did not see or know much about the other side. New babies, new arrivals, new services, all the special information to make the escape from suburbia entertaining without being intrusive. Later I began a series of interviews uncovering the wide-ranging experience and careers of residents under the heading of “The people we know”. When it was felt necessary we included editorials urging action or improvement. Problems at Church Point were a continuous news source. They still are. The introduction of advertising had to come. So much began to happen as the population grew and the need to know kept growing. Eventually the print run passed 300. Issues now ran to eight pages. Collation was quite a job for my helpful family. For many years I had handled the distribution alone most of the time with occasional help from my wife. Every issue was delivered into the hand or, at least, to the door. On one very warm day at the end of my run I debated whether I would climb a steep track to the last house or not. Finally, when I staggered around the back there on the mat was a copy delivered by my wife from the top of the island! On hot days this could also be a serious hazard as generous and sociable islanders would offer a cooling but usually alcoholic drink. After several collisions with trees as a result, I was compelled to decline after that. There were other hazards. I was bitten by dogs eight times, on one occasion twice by the same dog. First it bit my calf at the front door of the house. Then, when I found its owner at the back,, it ran through the house and bit me again. Then came the remarkable improvement with offset printing and fist use of computers. The convenience of instant correction to “typos” made all the messing about with obliterations unnecessary. Once, while the dear old ferry, the Curlew, waited, a major change was effected right on printing deadline. It was March, 1995, that the last issue of “SINEWS” appeared, celebrating 40 years of publication, sharing the anniversary with the Bush Fire Brigade for the same length of service. The sterling character Paul Purvis, an expert on computers and now of Elvina Bay, felt it was timely to embrace the internet and gather information for all residents of West Pittwater with the introduction of a more contemporary news service with “Pittwater Offshore News.” It was immediate. It was fast. And it was sooo easy to deliver. He even recruited me to write a monthly historic piece with the quaint title of “History Corner” which ran for two years. Subsequently he handed over editorship to Julian Muir who has continued to do a remarkable and dedicated job. I am sure he would agree that it can be hard work but it leaves you with a good feeling. Then aimed their little hoses ………. 54 years on, Mona Vale Hospital Younger Set, not so young anymore! Back in 1961, young people of the northern beaches were invited to a meeting at the Church Point home of Connie Stephens to establish a Younger Set. Connie was a member of the Mona Vale Hospital Auxiliary, formed to raise money for essential equipment before the hospital was even built. She saw the proposed Younger Set fulfilling two purposes: it would raise money for the hospital and provide a much needed social connection for young adults. In those days, young people did not meet at hotels or nightclubs and there were few places in the area where they could get together for a night out. A vacuum was filled by the Mona Vale Hospital Younger Set and it was an instant success. It ran parties, car trials, picnic days, theatre parties, ferry cruise, formal balls at the old Porta Villa in Dee Why and even had weekends at country hotels. Lifelong friendships were formed and many weddings resulted from people meeting at Younger Set functions. At its peak, Mona Vale Hospital younger Set had over 300 paid up members enjoying fortnightly functions. Fun was the priority and raising money was the automatic result. Every year the Younger Set presented a cheque so the hospital could purchase much needed equipment. The Younger Set was part of the street parade that marked the opening of the new hospital on February 21, 1964. With the 50th anniversary of the hospital fast approaching, a call has gone out to find former members of the Younger Set who would like to attend a reunion dinner on the hospital’s anniversary, Friday, February 21, 2014. Today (10.11.2013), with your help (despite the rain) we raised over $1200 for prostate cancer awareness and men's mental health. Funds raised will be split between Movember Foundation and Prostate Cancer Foundation Australia. A big shout out to BEN STEVENSON who allowed us to wax his chest in public for the cause....We will be approaching VEET Hair removal for a further sponsorship because we used their products, so stay tuned for their response. 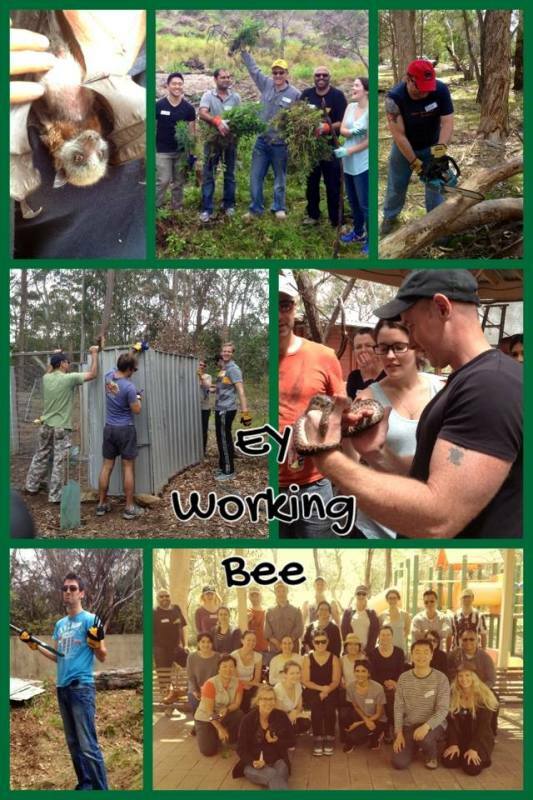 40+ people from Ernst and Young in the City converged in buses on the park to help Sydney Wildlife to transform it to its former glory for Animal Rehab purposes. In 15 days summer arrives, and whilst the rain has come through it will dry out quick enough. As a Brigade we are making the most of this reprieve. We took advantage the rain to kick off our annual fundraising last weekend, and will again be out at Centro Warriewood and Mona Vale shops on Saturday. And once again the public have been very generous. The funds raised helps pay for things like our SMS paging system which gets a real work out when we are busy. We use this to message the Brigade for fire calls, crew changes and rapid communication to active members. Funds are also used to buy drinking water and food for the tankers and other operational costs that the RFS itself does not cover. In the past we have bought a chainsaw, a pole saw, hydra packs to wear in the field, cold weather jackets, a portable communications radio and other ancillary equipment that helps with the many situations we find. We have also been fixing lots of things....The tankers have been off for repairs, warranty work and clean downs in an effort to return them to a solid operational level. Lots of hoses have been mended or replaced and equipment replenished; McLeod tools and brush hooks and chainsaws sharpened; pumps serviced, food boxes replenished, drinking water brought in and lots of our yellow PPE that has been rendered useless by burn holes, rips, and hard use has been replaced. We have had some new recruits completing their Bush Firefighter training and also run a refresher training night at the station, and we have new recruits attending the station this weekend to start the process of becoming fire fighters with the RFS. Operationally we stood up for the TOBAN last week and we have a member away on deployment for 5 days as an Air Base Operator. Thankfully we have had no operational responses although some of the other local Brigades have, and for the Brigades rosetted to cover the 24/7 district response vehicle (the Flyer) there has been little down time. Our roster comes up soon. Perhaps most importantly, we have been able to spend time with family & friends, and get back into our work routine. During the week Dr Howard Ralph of Southern Cross Wildlife Care was announced as this year’s Sydney North 2013 Senior Volunteer of the Year. From this announcement: “Howard is a very dedicated man. He gives all his retired life to treating animals (wildlife) that few other vets will treat due to financial reasons. Howard NEVER rejects any wild creature in need and works tirelessly at great cost to his own health to treat suffering, injured and orphaned wildlife"
Dr. Ralph has also been nominated in the NSW Local Hero category for the 2014 Australian of the Year awards. Announced at Dee Why RSL club on Tuesday 29th of October, the NSW Volunteer of the Year Award is an annual awards program launched in 2007 by The Centre for Volunteering to recognise the outstanding efforts of the 2.4 million plus volunteers in NSW, and to promote the importance of volunteering to the community and to companies. Prior to 2007 there was no state-wide recognition program for volunteers. The winner of The Sydney North 2013 Volunteer Team of the Year was Sailability NSW - "Sailability NSW has twenty six branches all over Sydney. Sail ability NSW aims to provide sailing opportunities for people of every ability, ranging from fit, sporty members of the public, all the way on a spectrum to people who have severe physical or intellectual limitations, or mental health issues. These include the very elderly and the very young, people from other cultures, and people with an indigenous background." The 2013 Sydney North Individual Volunteer of the Year is Mr Jack Baker. - "Jack has been a “Volunteer Driver” with Manly Warringah Pittwater Community Aid Service for 20.5 years. He is notable for his attitude of care, empathy and understanding of the varied clients who use the transport service. His calm and gentle manner puts clients and those he comes in contact with at ease. Clients and staff alike are complimentary of his sensitivity to the clients’ physical needs, which is a significant part of this role, as treatment may leave a client feeling nausea afterwards or they may simply not want to engage in too much conversation. Jack is very aware of this and modifies his approach accordingly. These are all prized qualities in any volunteer. However, a distinguishing feature of Jack’s volunteering service is his age and the length of his volunteering experience. Jack is 90 years young and has been a committed and reliable volunteer for over 20 years. Jack’s age is noteworthy because he is a positive, shining example that at every life stage, there are opportunities to contribute to the community meaningfully. Society needs more examples like Jack; of individuals who take the harder path to commit to work on a regular and frequent basis, work that involves one-on-one interaction in close quarters under conditions that can be unpredictable, a role that requires sensitivity, patience, generosity of heart and time, and a genuine interest in people." The Royal Prince Alfred Yacht Club host of the Club Marine Pittwater to Coffs Harbour race, has announced that boats will be allowed to compete in the 33rd running of the event carrying a satellite phone as an alternative to HF radio for communication purposes, a major coup for the event. The Club’s organising committee for the race has recognised the progress of technology and have spent the past three years using the Yellow Brick tracking system, proving their accuracy and reliability. The 2014 race will again see the mandatory use of the Yellow Brick tracker on all boats so that race control will be able to see where the boats are at all times. HF will still be monitored 24/7 through an arrangement with Kordia. In all races to date, there has been a requirement for scheduled position reporting. However, in the past two years, the committee has modified the position reporting so that race control provide the position to the boats at a given time, using the information provided from the tracker, and the boats responding “affirmative” or “negative”. So far, none have been negative. For the 2014 race, all boats will be required to roll call once a day to a central race control reporting their 1800hrs position prior to 1900hrs using one of the following methods: HF via Kordia, Sat phone, VHF to base, 3G mobile phone text or email. All reports will be acknowledged by the same medium of the call by race control. From a safety perspective, all boats are required to carry EPIRBs and personal location beacons (PLBs) and there is adequate VHF coverage over the 226 nautical mile distance between Barrenjoey and Coffs Harbour. Supporting the fleet will be the 21m Matthew Flinders who will follow the fleet and monitor HF/VHF/3G and sat phone communications and Marine Rescue will also monitor VHF and HF 24/7 for the length of the race. Experienced offshore competitor and chairman of the Coffs organising committee Richard Hudson said of the decision, ”For us it’s a natural progression, we are constantly reviewing things to do with this race and have had a plan in place for some time with the tracker technology and the ideology behind position reporting. With the accuracy and reliability of the trackers and the economic availability of sat phones it made this decision a rational one without impinging on safety standards. 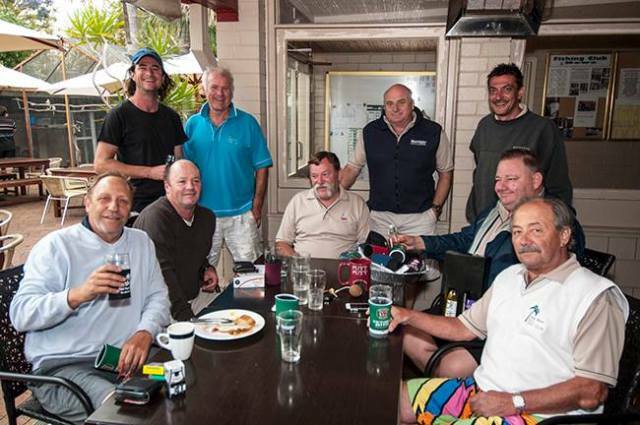 Richard Hudson, skipper of Pretty Woman and chairman of the Coffs organising committee, photo by Damian Devine. By taking away a significant cost to owners we are opening up the event to any number of new competitors who have been wanting to compete. We hope this initiative will encourage vessels without installed HF radios to enter and compete,” added Hudson. The 226nm Category 2 Club Marine Pittwater to Coffs Harbour ocean race will start at 1pm on January 2, 2014, off Barrenjoey headland. The annual post New Year’s Eve pilgrimage north is part of the RPAYC’s five race Blue Water Series. Since opening the doors to multihulls a few weeks back, five have now entered which is great news for the race from Sean Langman’s Orma 60 trimaran, Team Australia to the Seacart 30 Morticia. Once the fleet have arrived in Coffs Harbour the second stage of the regatta gets underway with four races over January 5 and 6. The offshore races are YA category four events with late morning starts just off the harbour entrance, providing the perfect opportunity for competitors and their families to combine a holiday at the popular tourist destination. The 2014 regatta will once again play host to the third annual Australian PHS Championships which all monohull entrants will be eligible to compete for. The closing date for entries is Friday 6 December, 2013. The Bridge to Beach proudly supports The Fragile X Association of Australia. The Manly Wharf Bridge to Beach is one of Australia’s largest open water paddling events and is regarded as one of the most spectacular in the world. Participants marshal at Blues Point Reserve for a spectacular sunrise over Sydney Harbour before lining up directly underneath the Sydney Harbour Bridge where the start line is situated. They then paddle past the Sydney Opera House and hug the northern shores of Sydney Harbour taking in sights such as Taronga Zoo, Bradley’s Head, Clifton Gardens, North Harbour Reserve and both South and North Head on their way to the beautiful Manly Wharf where the finish is. Fragile X Syndrome (FXS) is an inherited genetic condition that causes intellectual disability, and behavioural and learning challenges. It’s called Fragile X because under the microscope part of the X chromosome looks like it is different, or fragile. FXS is the most common known cause of inherited intellectual disability and single gene cause of autism. Each week in Australia one child is born who is fully affected by FXS, and 20 children are born who carry the Fragile X gene. It is estimated that around 80,000 families in Australia are affected by Fragile X, often unknowingly. Some of the signs of FXS include: learning difficulties, anxiety, shyness, ADHD, hyperactivity, delayed and repetitive speech, difficulty with eye contact, mobility problems. There is no cure for FXS: it is a life-long condition, but early intervention by health, medical and educational professionals can help children with FXS reach their full potential. I am a carrier of FXS, mother to an affected son and the President of the Fragile X Association of Australia which has linked with this well-established paddle event for the 2014 event. Hopefully it will be a good fundraiser for the Association. The Fragile X Association of Australia is a national organisation and registered charity providing support and services for people with FXS and their families. We provide free specialist assessment clinics, counselling and family support, try to raise community awareness and lobby government for support for those affected by FXS (eg. Better Start and NDIS). The Association is funded by membership fees, fundraising, grants—no government funding. We have an office in Manly with four part-time staff and a national board of nine volunteers. Please help us raise funds for Fragile X through My Cause, Everyday Hero and other sites. Keep an eye on our website (www.fragilex.org.au) for further information. Oceanpaddler (www.oceanpaddler.com/events/bridge-to-beach/) has over 30 categories in the race and will be encouraging all participants to raise funds for FXAA. They have created a new team event. The FXAA is looking for sponsors to provide some prizes. We live in a land of paddlers! I am particularly interested in encouraging teams of 4-6 to participate in the event, as well individuals. There will be 2 joint prizes—for the fastest team and the team that raises the most money for FXAA—as well as other special prizes. Please consider putting together a team, naming it appropriately and registering for the event from early December. For further information, please contact Joan MacDonald at FXAA, (02) 9977 0074. • They are native only to Australia. • They eat mainly grasses and roots. • They live in large burrows up to 30 metres long. • The average wombat is about 1 metre long and weighs about 25 - 30kg. • The mums have a pouch with a backward-facing opening so that when they dig, the baby doesn’t get covered in dirt! This adorable baby wombat came into care after his Mum was killed by a car. Little Splinter was in his Mum’s pouch at the time of impact. His pelvis was squashed in the accident and - as a result - his urethra was compromised. He was rushed to Dr Howard Ralph and treated immediately. Splinter was unable to pass urine through a crushed urethra so a suprapubic catheter had to be inserted. You can see it in this photo. He’s still on 4-hourly feeds so he’s very reliant on his wonderful carers. When you put your finger on his paw, he curls his tiny clawed digits around your finger and holds you tightly. It’s very endearing! Little Splinter will require ongoing care and quite a number of visits to Dr Ralph, but we are confident that he will be able to recover. Since the 2013 Federal Election, several government functions have been transferred to other portfolios, some new portfolios have been created and some existing ones deleted.